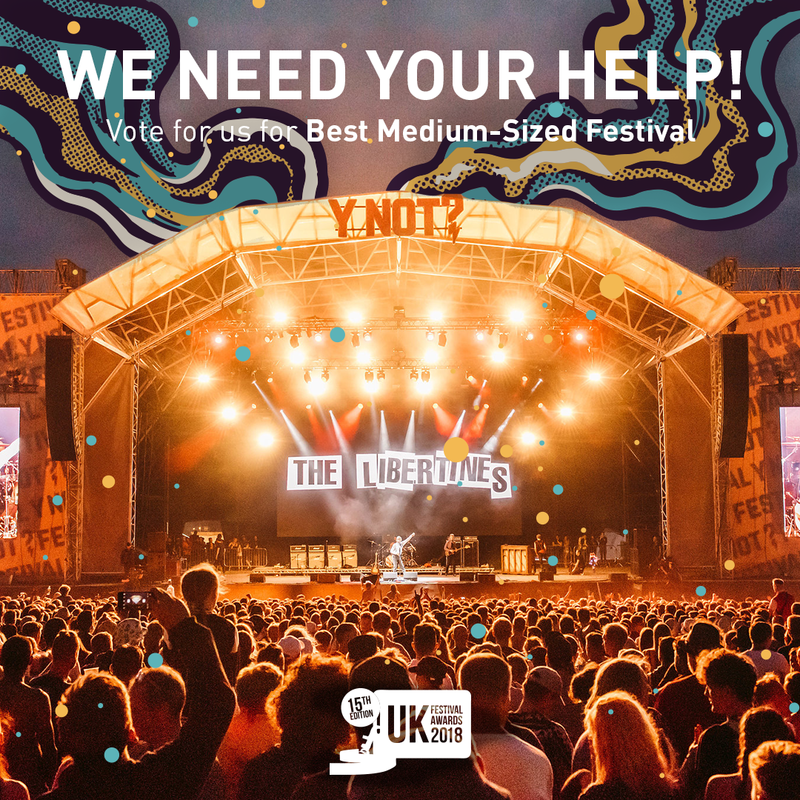 We are so so honoured to be nominated for ‘Best Medium Festival” this year, by the UK Festival Awards. The Festival Awards is an annual ceremony that recognises all of the work that goes into putting on the festivals you love going to all year round! After what has been a very tough year for Y Not, we are so happy and proud to be back with a bang and preparing what’s going to be an even more amazing 2019 festival. We know that none of this could be without any of your amazing people… but WE NEED YOUR HELP!